Start your Valentine's day party early with a beer and dessert pairing! 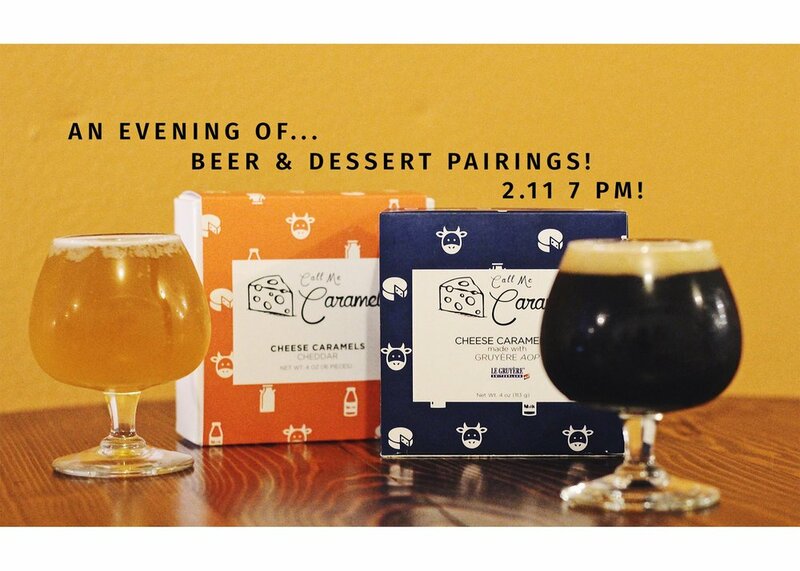 We've got some tasty local desserts including Call Me Caramel caramels infused with gruyere cheese and Nunu Chocolate truffles infused with a chocolate stout, as well as other treats, each paired with a Strong Rope beer! Get your tickets here!